The Parent Learning Center is designed to meet the needs of families who are looking to help their child, but do not require enrollment in a program or school. This service is offered to parents who need professional resources and instruction to meet the needs of their child. **All Options are suitable for preteens and teens alike! 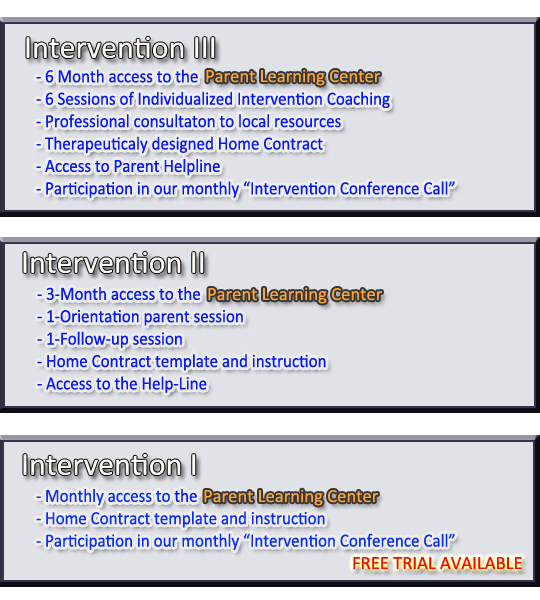 Our goal is always to empower you, the parent, with the information, tools, and options that will help you get the right help for your child. From working with you throughout your teen’s treatment to giving you information and recommending local resources, our services encompass whatever fits your particular situation or need.